Summer is here! Who doesn’t want to be outside, sunbathing, swimming, playing catch on the beach or just grilling in the backyard? While summer means fun in the sun, make sure you’re not getting too much of a good thing. Avoid consequences of overexposure to the sun like sunburns, premature aging of the skin, wrinkling, and skin cancer, including melanoma by practicing proper sun protection. 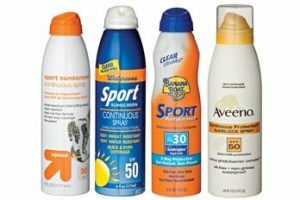 The CDC recommends some easy options for sun protection. 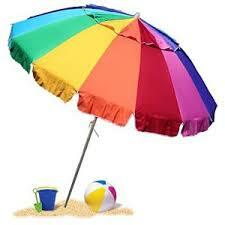 Use sunscreen with sun protective factor (SPF) 15 or higher, and both UVA and UVB protection. Sunscreen wears off. Put it on again if you stay out in the sun for more than two hours, and after you swim or do things that make you sweat. Check the sunscreen’s expiration date. Sunscreen without an expiration date has a shelf life of no more than three years. Shelf life can be cut shorter if sunscreen is exposed to high temperatures. If wearing this type of clothing isn’t practical, at least try to wear a T‐shirt or a beach cover‐up. Keep in mind that a typical T‐shirt has an SPF rating lower than 15, so use other types of protection as well. Wear a hat with a wide brim to shade the face, head, ears, and neck. For the most protection, wear a hat with a brim all the way around that shades your face, ears, and the back of your neck. A tightly woven fabric, such as canvas, works best to protect your skin from UV rays. 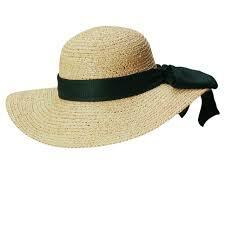 Avoid straw hats with holes that allow sunlight through. A darker hat may offer more UV protection. Wear sunglasses that wrap around and block as close to 100% of both UVA and UVB rays as possible. Sunglasses that block both UVA and UVB rays offer the best protection. Most sunglasses sold in the United States, regardless of cost, meet this standard. You can reduce your risk of skin damage and skin cancer by seeking shade under an umbrella, tree, or other shelter before you need relief from the sun. Your best bet to protect your skin is to use sunscreen or wear protective clothing when you’re outside—even when you’re in the shade. For more information, please visit http://www.cdc.gov/cancer/skin/basic_info/prevention.htm or call 1‐800‐CDC‐INFO.